Imagine you could move mountains - literally! In Munin, use realistic physics, runes and rotating platforms to solve creative puzzles in a world brimming with Norse mythology. Help Odin's messenger in her very own 2D-quest to reclaim her power on a journey through Yggdrasil! Munin is rated 4.3 out of 5 by 11. Rated 5 out of 5 by Jem_Jerrica_Guy from You will get your money's worth. This won't last an evening. You have to rest your brain throughout level, in order to think clearly. Once you master the single element levels, you have to work through mixed levels, which contain all the elements in one level. I got stuck to the point where I even needed to watch videos in order to pass the final levels. You will get your money's worth, as far as time is concerned, so you won't have to purchase another game right away. Rated 5 out of 5 by LunaNik from Now THIS is a puzzle game! 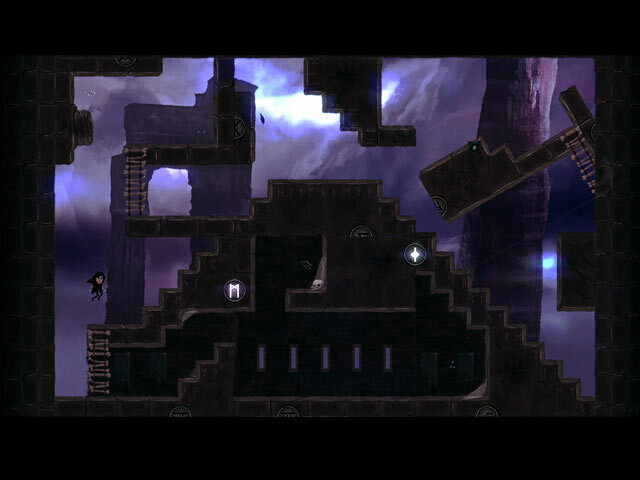 Munin is a beautiful, atmospheric, platform puzzle game that more people would have enjoyed with a few more instructions. Me, I got to the third level using my keyboard, but the pop-up visual directions gave no indication that the "rotate" icon could be moved to different parts of the screen, so the level appeared to be impossible to solve. Finally, I looked up a video walkthrough to see what I was missing and...the second you move the mouse, the "rotate" icon moves. No idea whether there's a key on the keyboard to control it, but the instructions should have been clearer. So, let's take care of that first... A = move left D = move right W = climb up S = climb down SPACE = jump Move mouse to move "rotate" icon and click to rotate the area. Once the controls were clear, I instantly became enchanted with Munin. 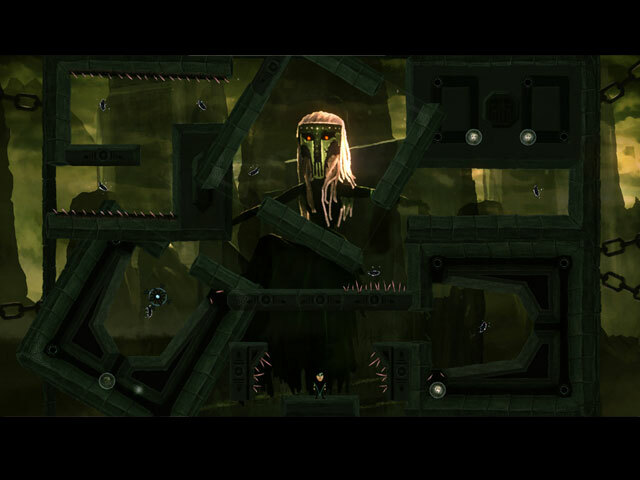 Each level includes one or more areas that can be rotated and multiple feathers, all of which you must collect before you can move on. So, you have to figure out combinations of rotations that will allow you to reach each feather. This is a brain game, and I wish BFG would offer more of them. The graphics are fairly simple, but ladders, bridges, and walkways are clearly recognizable. Music is ambient and ethereal, adding to immersion. This is a definite purchase for me. I hope that those who were as baffled as I initially was will try the demo again, because we rarely get games that are challenging and beautiful at the same time. 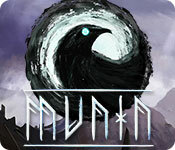 Rated 5 out of 5 by Karavan from Interesting and different I am enjoying this game, purchased after playing the demo. The directions in this game are just visual and if you follow them it is fun and stimulating. I like this type so know that this may not be for everyone. If you liked Leaves you will like this. Give it a try. Rated 5 out of 5 by thedoctorsgirl from Tricky but fun! (Demo) (Demo only) At first, I had a little confusion with the controls and mapping, but once I got the hang of it, it was challenging but a really fun physics puzzle! Rated 5 out of 5 by ZekesPeach from This will get the grey cells working! I bought this game while still in the early part of the demo because I loved it so much. 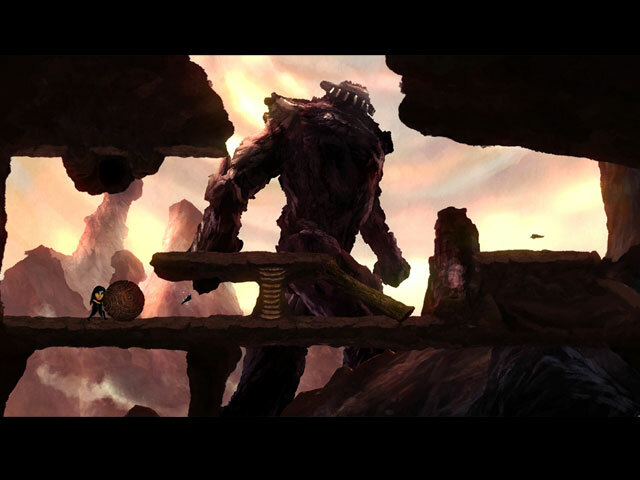 It is very similar in feel to Leaves: The Journey and Leaves 2: The Return (BFG, PLEASE give us more games like these??? ), which I also loved. Your character (and her raven companion, who moves you from scene to scene) is based on a Norse tale. The object is to manipulate the scenes so you can collect the floating feathers to restore your stolen wings. It is possible to be 'harmed' by being run over by a big stone ball, falling into an abyss, etc., in which case that scene resets and you must start it again. Unlike other players who mentioned having a tutorial, I was plunged right into the game. Not a problem for me; I just fiddled around a bit until I got the gist of it. Which brings me to my only 'complaint'...when I completed the first chapter the game wouldn't go further (and may explain my lack of tutorial). I reported it and BFG has now released an update that WORKED!! So, if anyone else had a similar problem and thought it was their fault at not being able to figure out how to get the next chapter to open, download the update and you will be able to enjoy the game again. If you like being challenged, this is your game! The controls are simple, left and right mouse buttons for rotating the scenery and jumping, and left, right, up and down directional keys for moving around. No collectibles, no gadgets, no helpers, no conversations! Just you and your brain. Rated 5 out of 5 by zandu2 from It's a Munin Day. I bought the game and I find it challenging, fun and good for the gray matter. Some places are a little dark and I find that it's okay and it adds on to the scenery. I also see that the scenery lightened up, from grey to green hills. I enjoy the music and find it soothing as you play along. They are all puzzles, to get from A to B. and yet they are do-able. Give it a try and look it up on the internet for the game and so you will know basically what needs to be done and how to play it if you get stuck. So don't let this little treasure get away and try it out?. A definitely yes on my part to recommend this game.. Rated 4 out of 5 by pennmom36 from STRANGE PUZZLE GAME BUT I KINDA DIG IT I've always been a puzzle geek and I love puzzles that I have to think about or tinker with until I get it right. Although this is a strange kind of game, it really grows on you, and you definitely have to tinker with the scenes to solve them. The instructions are very basic but the game itself is fairly basic so there's not much to figure out other than how to solve the puzzle. There's only one goal and it's the same goal on every level, collect all the feathers. A simple goal, but not so simple to figure out how to get to the feathers! There are square sections of the scenes that can be rotated by left-clicking the mouse, but the square that the characters is in, can't be rotated until you move him to the next square section. You can move the character forward, backward, up or down ladders, using the arrow keys. You may need to jump him over obstacles, which can be achieved by right-clicking the mouse while using the directional arrows. You may need to go back and forth on a lower level and then change the square section selection to reach other areas. The puzzle levels don't end until you get all the feathers, there's no 1-2 or 3 stars to earn, you just keep playing until you figure out a way to collect all the feathers. So far, it doesn't seem to limit you on how many attempts you get if you run the character into a pit or whatever and he dies, it just starts over at the point you died. This isn't going to be a game for everyone, especially if you don't like games that require you to use the arrow buttons. You can play the game in 9 different languages, and you can set the resolution, so it's not too archaic, and if you enjoy problem-solving puzzles, this fits the bill, enjoy! Rated 3 out of 5 by A1psyko from Based on Demo Based on the demo. I had a bit of problem at first until I realized that you are automatically taken through a tutorial. Once I figured that out I moved on. So the graphics are black and white with some option of seeing colors after you start moving through the game. I do not rate sound because I keep speakers off. The game has absolutely no instructions which for me is good. However, when you finally get moving the refresh screen for the new area is quite slow. You see this bug thingy crawling until the next scene loads. That was annoying. I did figure out how to move foreward, it is not intuitive so watch the little balloons above the animal (??) for help. You do pick up items and the to to a storage box at the top so you can use them as needed. It is not an easy game, never did find any Help option. If you want a game that does NOT help, you have to use your skills, and it is not a quick run through then this is your game. Help Odin’s messenger Munin navigate 9 worlds and lead her to the golden throne of Asgard in this unique puzzle platformer!